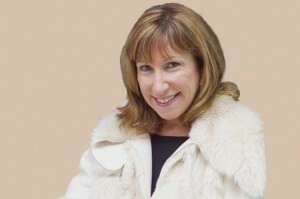 Filming has begun in Leeds on a new series of In The Club, the BBC One drama penned by Kay Mellor OBE. The second series sees the return of the six, very different couples who had bonded in the local parent craft class as they approached parenthood. Hermione Norris, Luke Thompson, Katherine Parkinson, Tara Fitzgerald, Jonathan Kerrigan, Will Mellor and Jill Halfpenny all return, with new cast members including Paul Nicholls and Sandra Huggett. In The Club 2 was commissioned by Charlotte Moore, controller BBC One and Polly Hill, controller of drama commissioning for the BBC. Mellor, who has previously written The Syndicate for BBC and Band of Gold for ITV, added: “I was delighted by the response to series one of In The Club and even though we left on a compete high with viewers growing week by week, I felt bereft the series had finished, so it was wonderful when the BBC asked me to write and produce a second series." Rollem Productions, the Leeds-based production company set up by Mellor in 2000, will again handle production.